From the very first day of our inception, we have been successfully manufacturing, supplying and exporting Oil Fired Oven. Confirm to industry guidelines, these ovens are manufactured utilizing quality components and material that are procured from the trusted sources of the market. Moreover, our quality controllers stringently check all the products on different parameters to remove defects, if any. 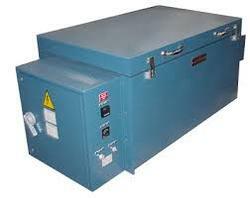 To meet the different demands and requirements of our esteemed clients, we manufacture, supply and export a comprehensive range of Heavy Duty Oven. All the ovens are widely demanded several industries like chemical, cosmetics, pharmaceutical, petrochemical and food & beverage. Furthermore, our ovens can be customized as per the demands and needs of customers. 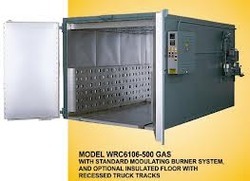 Being a quality driven organization, we are engaged in manufacturing, supplying and exporting Gas Fired Oven. 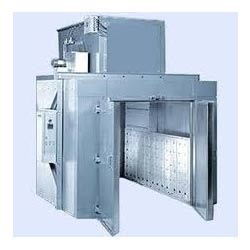 Demanded by various industries like chemical and food & beverage, these ovens are provided to clients in several models and designs at industry leading prices. Furthermore, our logistics personnel enable us to deliver these ovens at clients’ destination within the set time frame. Generous appearance, the body of oven is made of excellent stainless steel.